Due to the fact that some of the walks described in this web site contain sections that are not on recognised footpaths or bridleways, it is the responsibility of the individual to either have an in depth knowledge of the area or to carry a map and compass (or GPS and extra batteries), and have the ability to use them. Dartmoor has large boggy areas and care must be taken when entering these. It is also the responsibility of the individual to make the decision to walk on the moors in any given weather conditions and carry the correct clothing and footwear for walking on Dartmoor. I have seen plenty of people out miles from a good path with inadequate equipment for the conditions. Good practice is to also inform a friend or family member of your planned route, so that in the event of an accident a search area can be planned. There are Dartmoor rescue teams located in Plymouth, Tavistock, Ashburton and Okehampton, these fantastic people are volunteers and don’t deserve to be called out to rescue people stuck due to poor equipment or lack of planning. 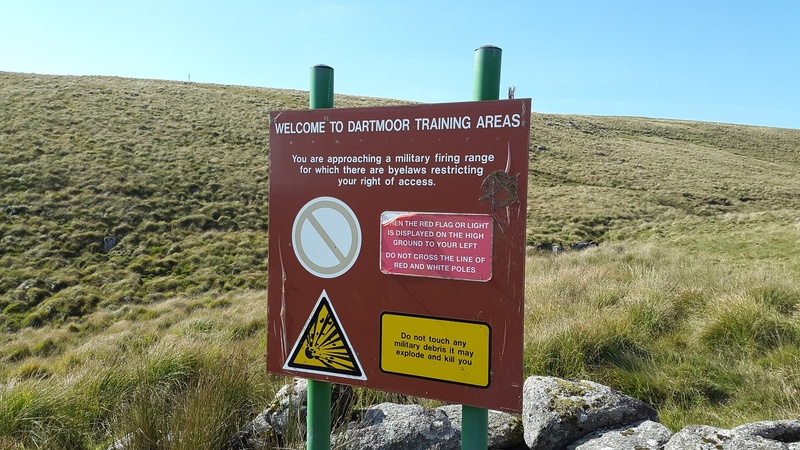 Furthermore, regular walking and exploration of Dartmoor will eventually lead you into the areas marked on the Ordnance survey maps (OL28) as the Dartmoor military firing ranges. 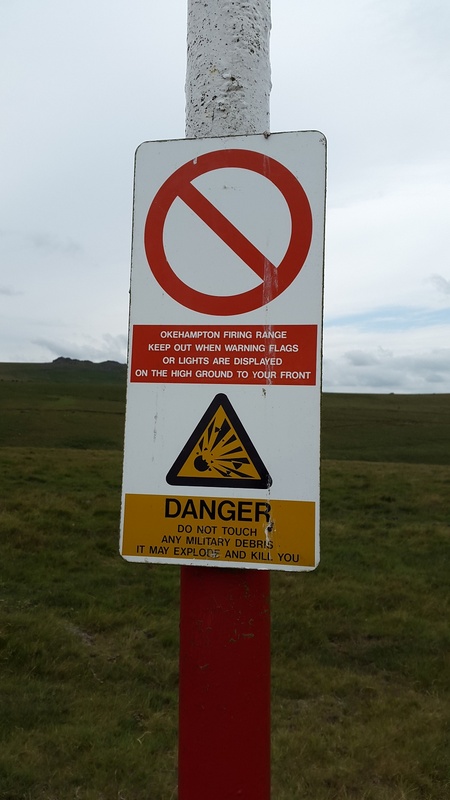 There are 3 of these areas, Okehampton, Willsworthy and Merrivale and a red flag flying on the perimeter of these areas (flagpoles are normally located at the top of tors) indicates firing is taking place. Red and white posts are also placed along the perimeter of the areas linking the flag poles together. The military publish the firing times (see link below) and no one is permitted within these areas at these times, maps of these areas are also on the link. Care has been taken to ensure that the information in this web site is accurate, I accept no liability for any loss, damage, or injury incurred by those using any information contained in this web site. Whilst this web site contains directions and maps, it is the responsibility of the individual to plan their own route using an accurate map. The directions and maps in this web site should only be used as a rough guide to assist with the individuals own planned route. Please ensure that the route you take does not cross onto private land, at the time of publishing, my walks have taken place on full and unrestricted land, please comply with any restrictions that may have been put in place since the date of my walk. 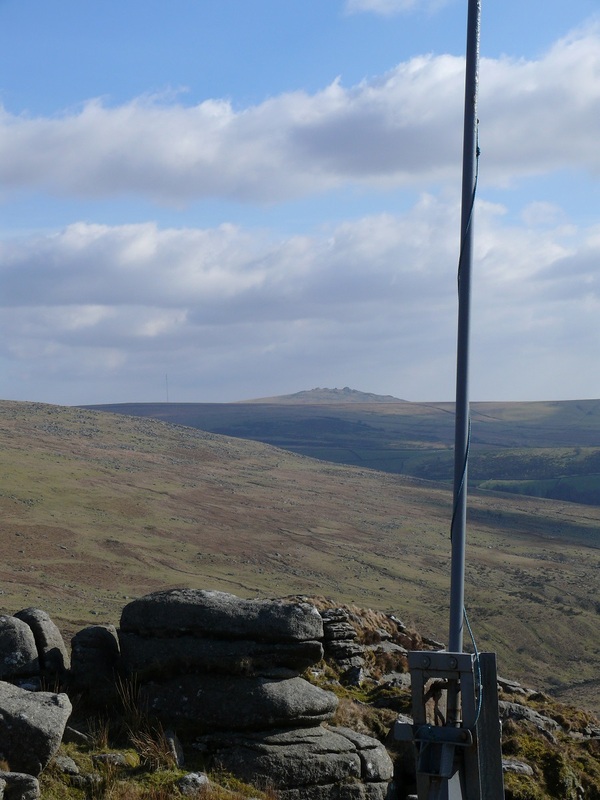 In spite of all this, walking with care and good planning on Dartmoor can be as rewarding as any activity undertaken. As part of my walks I will try to get across the difficulty of the walks, how boggy they are, weather conditions, maps and the photos of the walk. This will hopefully give the reader better information when planning their own walk. Happy walking and take your camera! There are also a number of other superb websites which will give you more information about Dartmoor, the tors and the history of the area. Some of the best are listed below. Tim Jenkinson’s brilliant Legendary Dartmoor site. Full of facts, history and stories. Max Piper’s walking website. Great walks, tors, tors and more tors. Many that we didn’t know existed. Paul Buck’s Moorland Walker site, Again lots and lots of walks and seeking out new tors and places.